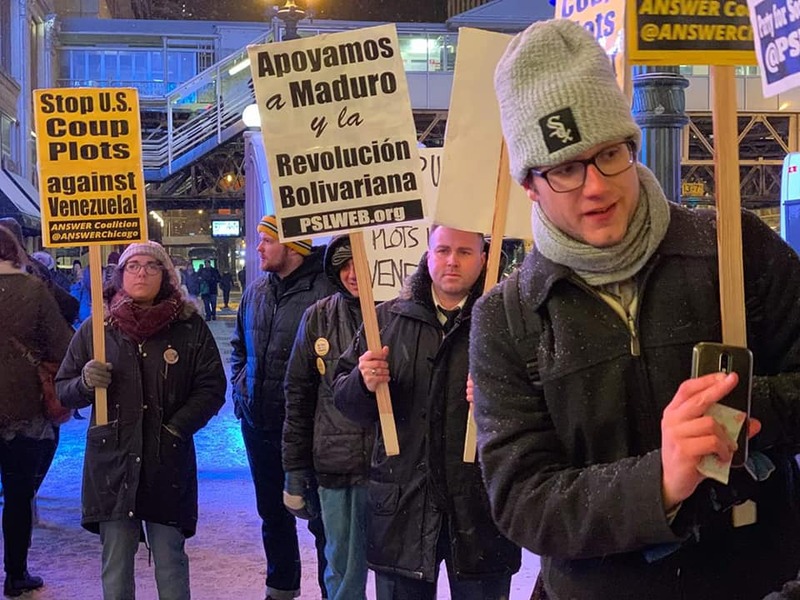 On Jan. 25, over 30 people responded to the call put out by ANSWER Chicago and the Party for Socialism and Liberation Chicago for an emergency protest against the U.S.-orchestrated right-wing coup in Venezuela in front of the studios of the local ABC news affiliate in downtown Chicago. 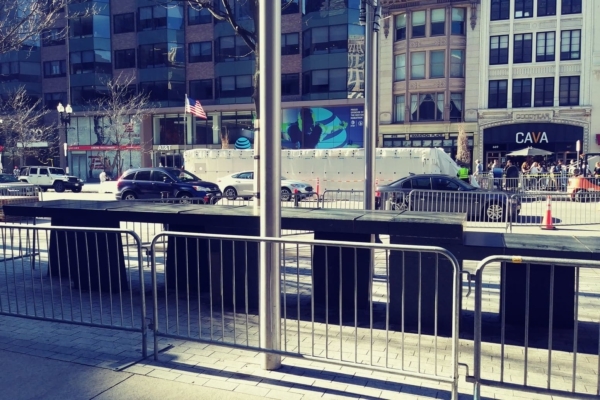 The spirited rally picketed on the sidewalk in below-zero temperatures and demanded that ABC and other news organizations tell the truth about the coup attempt in Venezuela. Protesters also passed out educational material about Venezuela and talked with the curious about the unfolding situation in that country. John Beacham, the coordinator of ANSWER Chicago, stated while leading chants, “Trump doesn’t have the right to tell another country who is their president. The U.S. doesn’t have the right to interfere in sovereign countries. The U.S. doesn’t go to war for democracy or humanitarian reasons.” The evening closed out with participants promising to return to the streets if U.S. aggression against Venezuela and the Bolivarian Revolution continued, and to stand up against the scourge of U.S. imperialism. 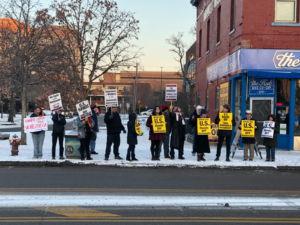 On Jan. 26, in frigid, below-zero temperatures in Milwaukee, Wisconsin, dozens of people from various progressive organizations gathered on the corner of North Avenue and Martin Luther King Avenue to protest the U.S.-engineered coup in Venezuela. Overall, it was a great show of cooperation between these groups, who were able to coordinate in advance and find full agreement that U.S. intervention in the sovereign affairs of Venezuela was unjust and illegal. 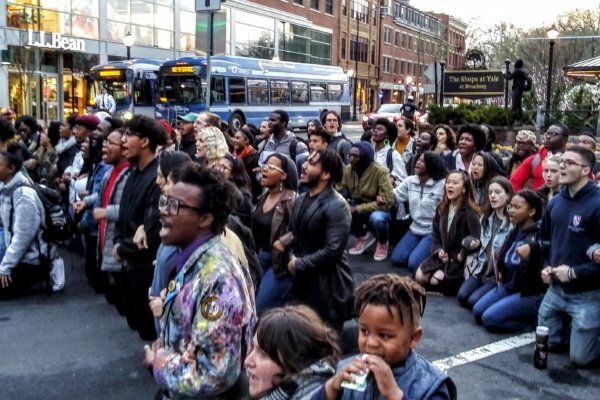 The Wisconsin Peace Action Committee found common cause with the Wisconsin Bail Out the People Movement, the Party for Socialism and Liberation, the Freedom Road Socialist Organization, the International Socialist Organization, and several other groups. The progressive, revolutionary people of Milwaukee fully reject U.S. imperialism and interventionism in all its forms and condemn the Democrat and Republican parties for their unwavering support of such illegal actions. The workers’ struggle has no borders, and U.S. imperialism will not succeed in the face of the popular demands of the Venezuelan people! Jan. 26 rally in Minneapolis against the U.S.-orchestrated coup in Venezuela. Photo by Mari Johnson. On Jan. 26, at the May Day Bookstore in Minneapolis, Minnesota, several dozen anti-war and progressive activists and concerned working-class people gathered at a forum and discussion meeting hosted by Minnesota Peace Action Coalition and co-sponsored by several organizations, including the Anti-War Committee, Women Against Military Madness, Freedom Road Socialist Organization, Twin Cities Peace Campaign, Socialist Action, Workers World Party, and the Party for Socialism and Liberation, to discuss the latest U.S. coup attempt against the democratic government of the sovereign nation of Venezuela and to demand: U.S. hands off! Kristin Dooley, the director of Women Against Military Madness, summarized the orientation of the meeting: “It’s the people in Venezuela, every day people like you and me, the workers, the farmers, who are affected by this, and who will be in great distress if this coup succeeds. And just like you’ve had to deal with sexism, and you’ve had to deal with capitalism, and you’ve had to deal with racism, you need to stand up for these people.” Although the meeting was originally moved indoors in light of the cold January weather, the words of the speakers motivated many of those attending to move to the West Bank Minneapolis streets and demonstrate publicly in solidarity with Venezuela. All progressive people should likewise denounce the coup attempt, rebuke the corporate media propaganda about the Bolivarian Revolution, and stand in support of the people of Venezuela and their legitimate elected government. On Jan. 26, the PSL staged an action in support of Venezuelan sovereignty at the Cobo Center while it was hosting the Detroit Auto Show. The afternoon was bitterly cold, with temperatures dropping below zero with the windchill, but more than a dozen people from the PSL and Communist Workers League braved the weather to defend the Bolivarian Revolution. Many workers passing the demonstration expressed support for the cause, several repeating the sentiment “Hands Off Venezuela.” Nationally oppressed Detroiters were particularly enthusiastic about our presence, affirming the solidarity between all workers and oppressed people standing against empire. Detroit is a major center of United States capitalist exploitation and a city with a long history of radical labor struggle. 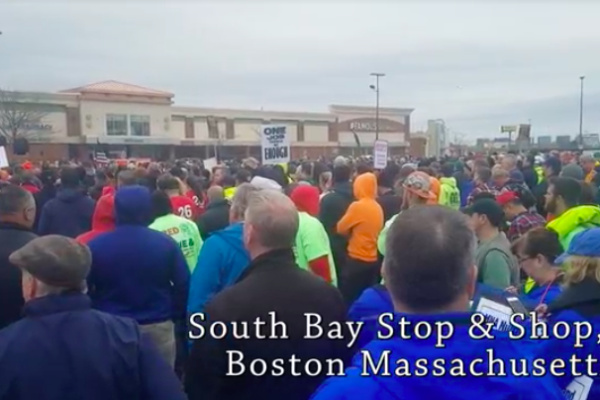 We were proud that, in this setting, the PSL was able to show that workers will not lie down and accept the dictates of the imperialist bosses, and that we will fight to protect the self-determination of workers in Venezuela and in all other places where empire threatens working-class power.